The fourth Singapore-Guangdong Collaboration Council (SGCC) meeting, which concluded in Singapore last week with the signing of 14 Memorandums of Understanding (MoUs) and agreements, has identified software development as the new focus area for collaboration between the two economies. The SGCC, which has extended its term for another three years till 2014, has been instrumental in strengthening the bilateral ties between Singapore and Guangdong. According to Mr. Lui Tuck Yew, Singapore’s Minister for Transport, SGCC trade has grown at a compound annual growth rate of 4.9% over the last three years. Additionally, Singapore’s accumulated investments in the Guangdong registered US$1.4 billion over the same period. Singapore-based companies are set to invest approximately US$6 billion in the province in the next five years particularly on software development, an area critical to Guangdong’s economic transformation, added the Minister. Enterprises that have opted for Singapore Company Registration are contributing in Guangdong’s development by sharing the city-state’s expertise in traffic management, real estate management, waste management, vocational training, public housing development and community building, with the Guangzhou Municipal Liwan District government. Additionally, the National Trades Union Congress (NTUC) Learning Hub will lead a pilot training project to address Guangdong’s need for high-skilled manpower, as initiated by International Enterprise (IE) Singapore. During the meeting, the SGCC pledged to set up two thematic projects in the Guangzhou Knowledge City (GKC), namely Media Hub and Automation Hub. While the Media Hub will provide a one-stop center for media solutions, including film, television, media design and education productions; the Automation Hub will align manufacturing services and solution providers to speed up automation processes in Guangdong. Analysis by Rikvin shows that Singapore was Guangdong’s third largest trading partner in ASEAN last year, after Malaysia and Thailand, and its bilateral trade registered US$8.4 billion in the first half of 2012. “This effort is yet another testament of Singapore’s active stance to develop itself as the preferred business hub in Asia. Other than offering a pragmatic immigration framework, excellent business infrastructure, political and economic stability and proximity to emerging markets in ASEAN, Singapore’s continual efforts to remain competitive give Singapore-based enterprises choices and opportunities to expand their reach,” explained Mr. Satish Bakhda, Head of Operations at Rikvin. 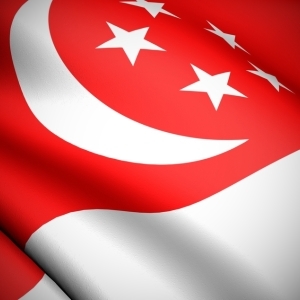 “Additionally, this enhances Singapore’s attractiveness to foreign entrepreneurs and investors and compel them to opt for Singapore company formation. Upon incorporation, companies, especially, startups and SMEs, can benefit from attractive Singapore corporate tax rates, the Productivity and Innovation Credit (PIC) scheme and tap various industry-specific grants,” he concluded.